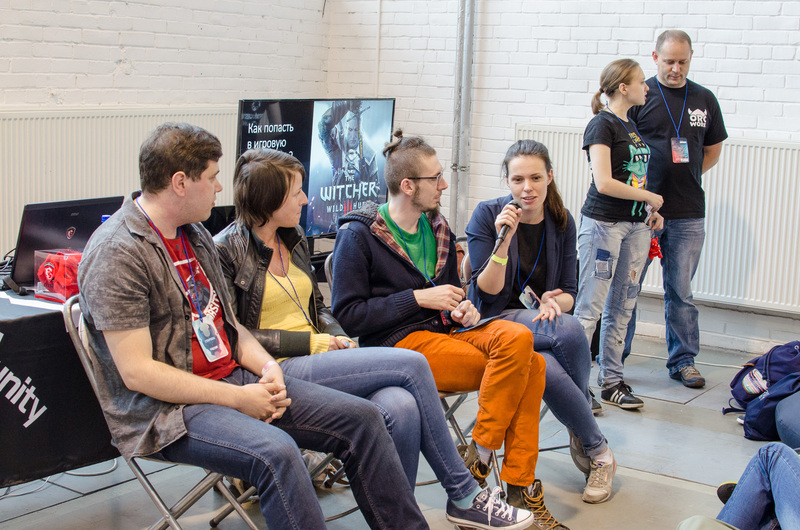 Okay, two days of StarCon (a russian festival of sci-fi, movies, comics and cosplay) are behind us, the description of the convention itself and how we presented our game is under the cut. Lots of pictures. The first day greeted us with lines from hell, despite the fact that it was a workday. Thankfully, there was a separate entrance for the participants, and even though we were only supposed to showcase our game on Saturday, our badges gave us access for all three days. So we could use our time on Friday to look around, check out some other projects, and build up our expectations about our own presentation (I’ll say right now that they were way off). The convention itself took up three entire halls. 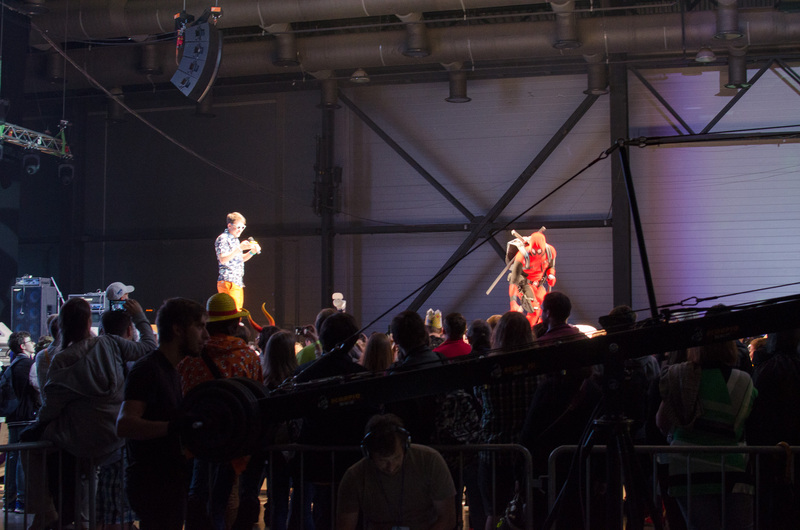 The central one had a stage on which various events took place (new comic book presentations, cosplay shows), you can see it in the main photo. It was dark and cool, camera flashes would shine out all the time. Halls 2 and 3 were taken up by participants’ stands. 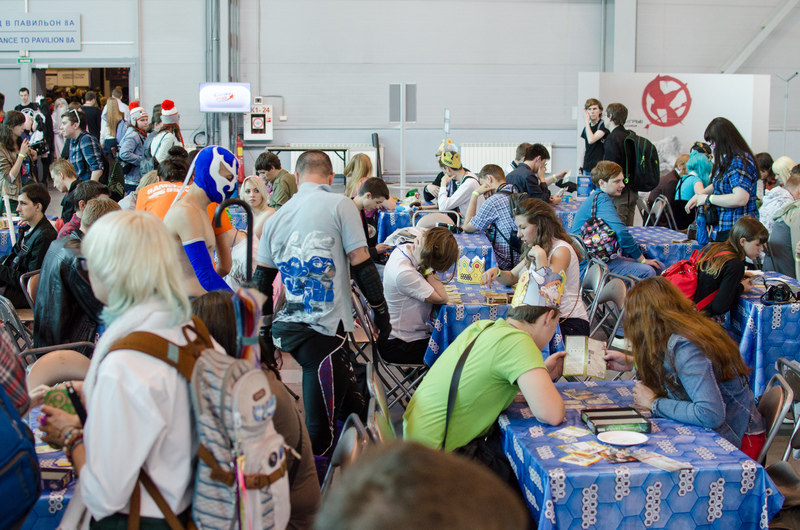 You could find everything there, from fans of various sci-fi works to boardgame and steampunk merch stores. There were some entertainment zones: a movie theater, boardgame and video game zones. After the line flowed inside from the street, it became extremely crowded; there were SWARMS of people, the flow of the crowd carried us and wouldn’t let us pay attention to what was going on around us very well. And there were a lot of things worth paying attention to. 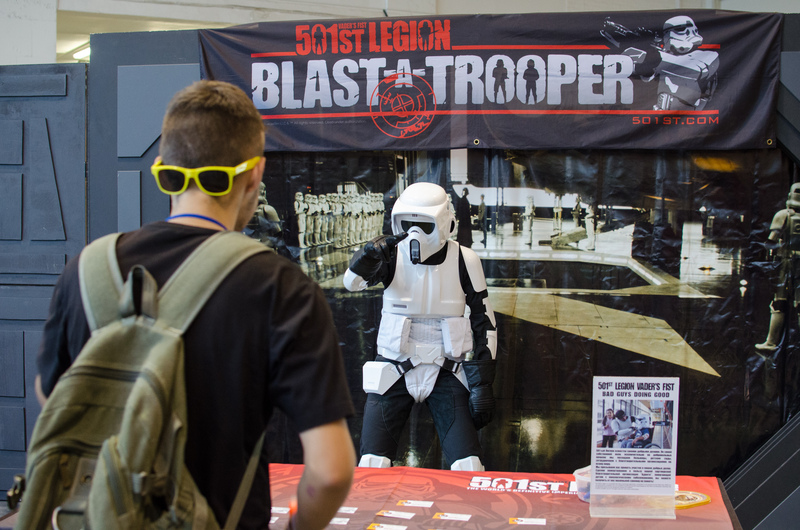 At the 501st Legion stand, you could shoot at Stormtroopers with dart guns. 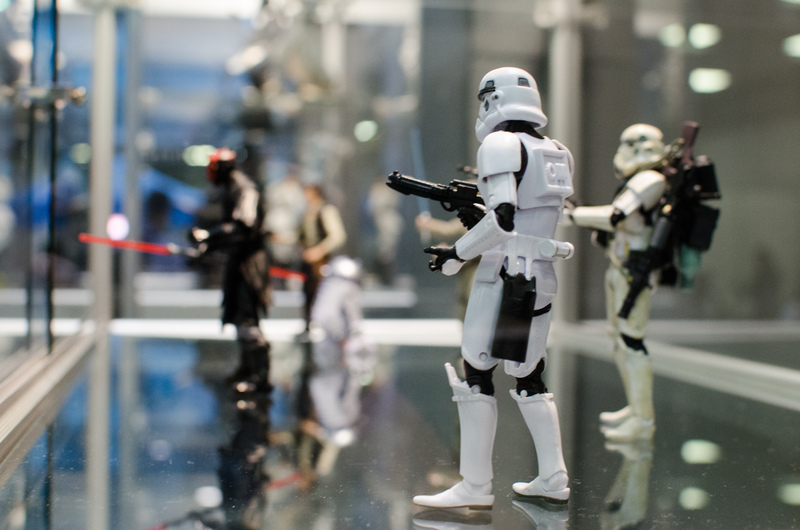 In order to get to shoot, you had to make a donation which would later go to charity, which the 501st takes seriously and does all over the world. 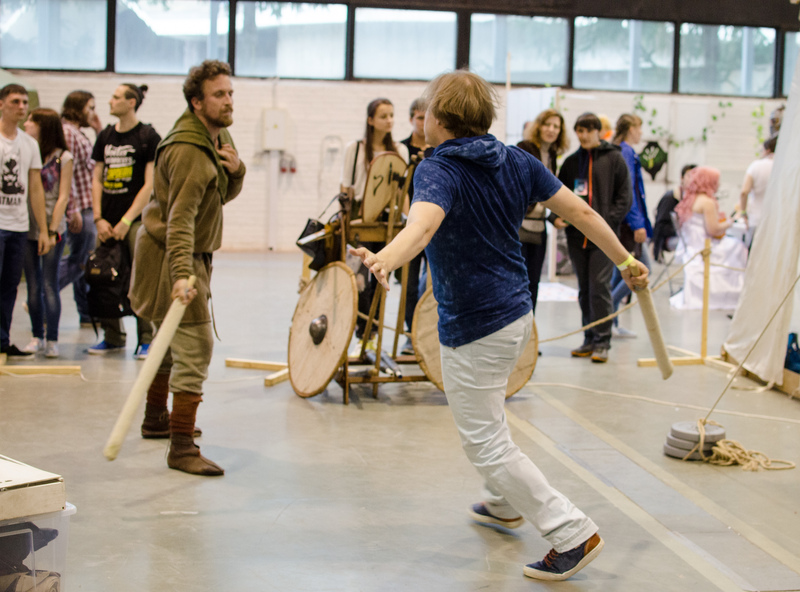 And here you could take part in a sword fight. Next Castle Party grabbed half of one of the halls. There was a lot here, too: traditional retro gaming zones where you could fight Cyrax playing as Cyrax on a Sega; cybersports zone with tournaments of more modern games; a lecture hall; and a zone where developers showcased their indie projects. Unfortunately, they couldn’t dedicate its own space to it, so you couldn’t hear it very well, since there was music, gunshots and people talking all around us. On day 2, they put some more speakers there, and it got a bit better. 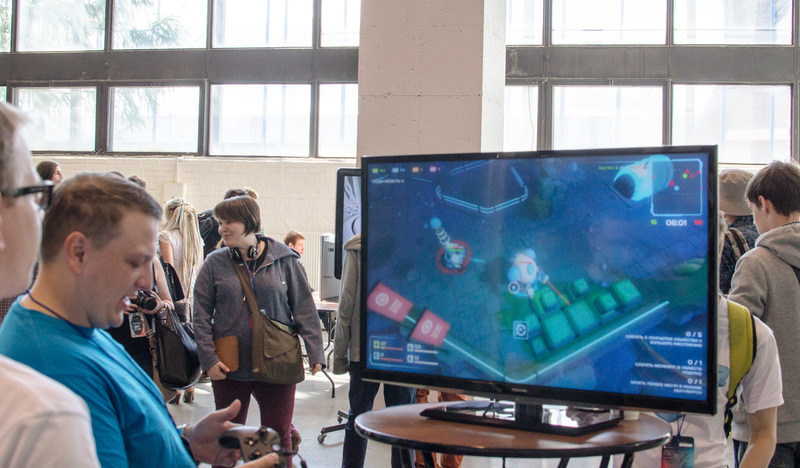 The first day was rather unfortunate for the developers who came to showcase their projects. 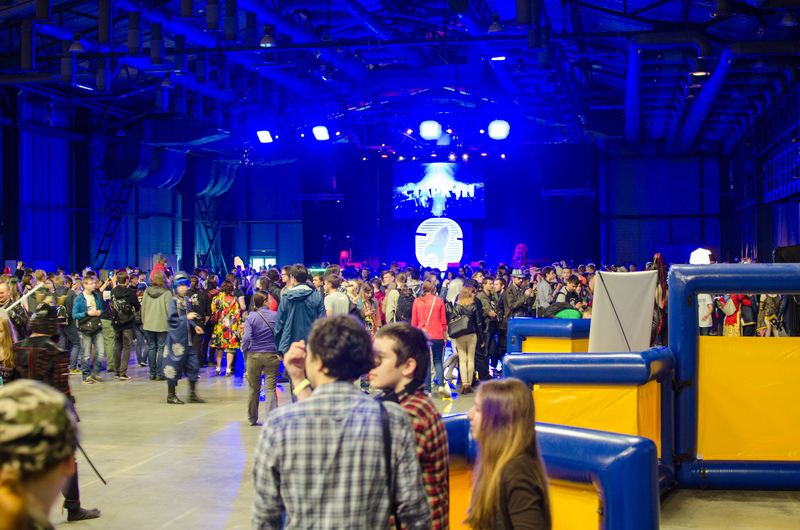 Most of the visitors came for completely different reasons, so the activity in the indie zone was minimal. And in a few hours a lot of the stands were empty (for some reason, NCP doesn’t give out seats, and there weren’t too many people ready to be standing up for hours with zero results). Again, the crowd played against them: the stands were put in the way, and often there was absolutely no way you could stop at one of them. So we went into day 2 without expecting anything good. But everything had changed: there were fewer people (apparently, most of them came running to the opening on Friday), and there were more people interested in indie games. 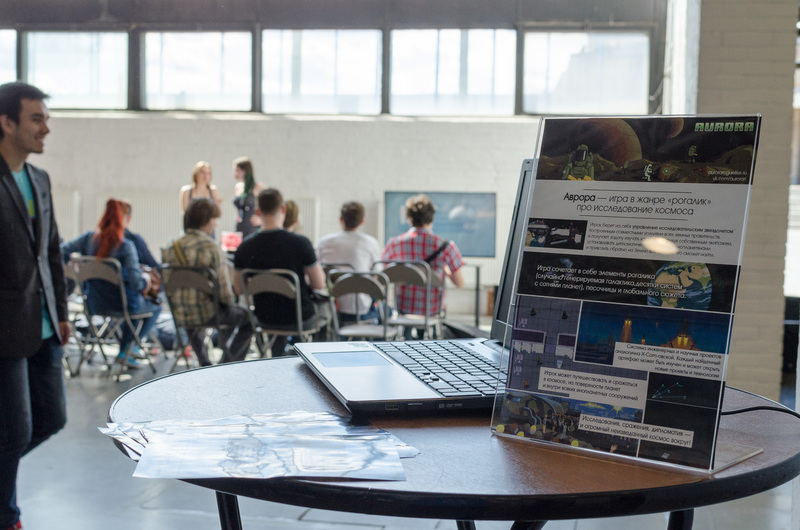 So we showed our game and talked about it, handed out leaflets with information about the game, and promoted it in general. All in all, the audience was less fitting for us there than at the Next Castle Party itself (people went there precisely because of retro and indie games, and most people knew what, say, Star Control 2 was), but we found our players at the StarCon, too. 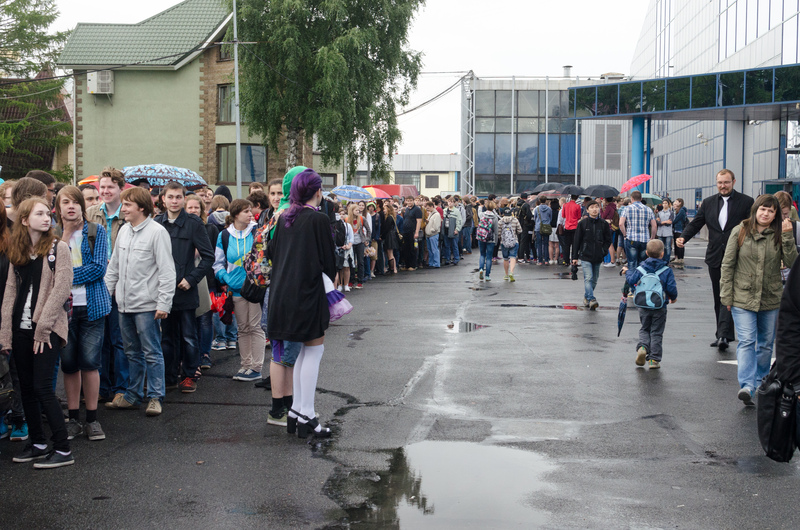 Meanwhile, fun was going on around us: lectures, cosplay, tournaments of various games and other stuff. 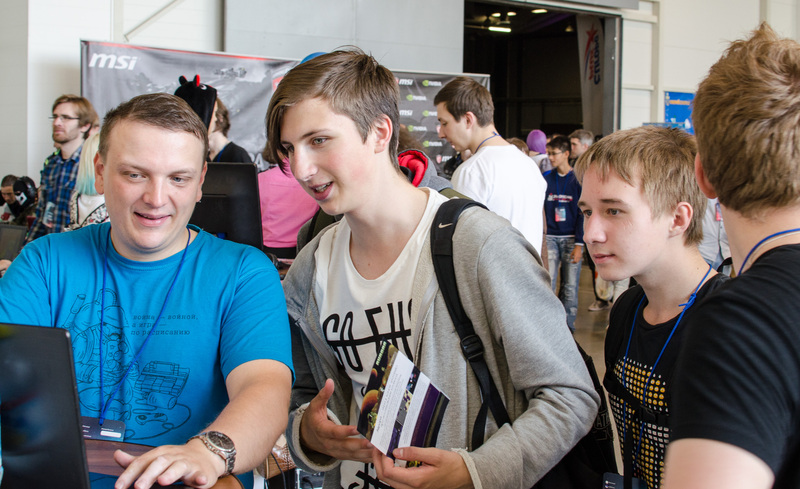 So all in all, StarCon was pretty productive for us, despite some initial skepticism. See you at future cons! This entry was posted in Uncategorized and tagged conference by smirnovegorv. Bookmark the permalink.